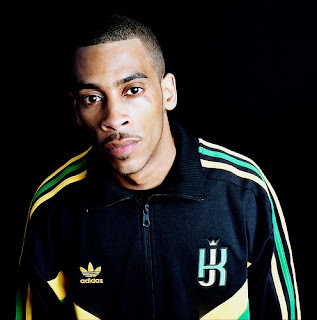 While the likes of Chipmunk look down from the lofty heights of the pop charts after landing fortunate deals, their grime careers a distant memory, Durrty Goodz can tell a more colourful story. He's seen the genre emerge from the East End; faced his fair share of personal strife, serving a sentence and seeing his half-brother Crazy Titch get sent down for murder; rubbed shoulders with Polydor fat cats and subsequently turned his back on the label; clashed with revered face of grime Wiley; and all the while persevered by independently pushing his music. Take heed while UK All Day, albeit briefly, speaks to Goodz ahead of his forthcoming album, Overall. Tell the people who you are and your back story in music. I'm Durrty Goodz, an artist from east London. I've grown up listening to all types of music, knowing that reggae is the most authentic music in the world. You can always hear the culture in the production. What sets you apart from other grime artists? What makes you distinct? so people can recognise it when it's heard. Grime blew up at an accelerated pace, arguably from looking at how hip hop in the US commercialised and copying the template. As an artist who's been there from day one, how do you see the genre today, both underground and mainstream? I don't see the grime genre in the mainstream, I see artists that might have made grime in the past but they're not actually trying to keep the elements of the music alive. I don't blame them either, they're just trying to stick to the rules and make themselves successful. The underground artists are now scared of being themselves because they're afraid they won't become successful doing that. You're something of an unsung hero in the genre. You garner a lot of respect from your peers and fans alike, although others acts arguably get more attention. How do you measure success? I measure success on how you're sounding now. You're only as good as your last CD. You were signed to Polydor in 2005 but ended up walking. Why? And what's your experience of working with a major? I felt it was the right thing to do while on my journey. Being signed wasn't changing my life or making me get better as an artist. I realised that you have to put in a lot of hard work and it made no sense somebody who I have no contact with owning all my material while all the hard work is being done by me. But being signed to a major can be a bit tricky because since 2005 labels seem to be allowing UK artists a bit more creative freedom, although the contract side of things is even worse. Wiley and you have been back and forth at each other on-record for years. Even last month he sent for you again. Some say it started after he went at you on Where's My Brother?. When and what started this rivalry? What should people expect from your upcoming album, Overall? top of that, it's a demonstration of my creativity.